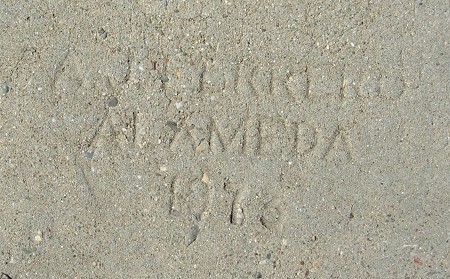 Like a mirage, this rare year appears in a remote block far from any neighboring marks. A. J. Ferrero stamps are usually this indistinct; my previous example was worse. 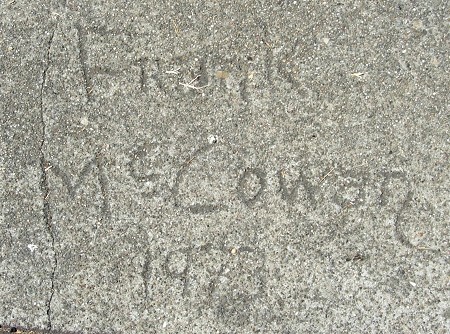 Frank’s signature suggests to me that he knew his way around wet concrete, but until now I hadn’t seen his work. This decidedly out-of-the-way street is nicely equipped with sidewalks, unlike its surroundings, but only this lot (worth seeing for its own virtues) had a stamp of any kind on it. And it’s a classic from a distinctive maker and a very rare year. 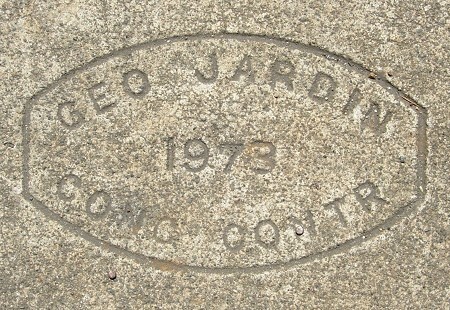 Another very rare date; in fact this is the first real stamp I’ve found from 1973. We have Dad and Mom’s feet, and then Noah’s feet, Sean’s hands and Norman’s baby foot. 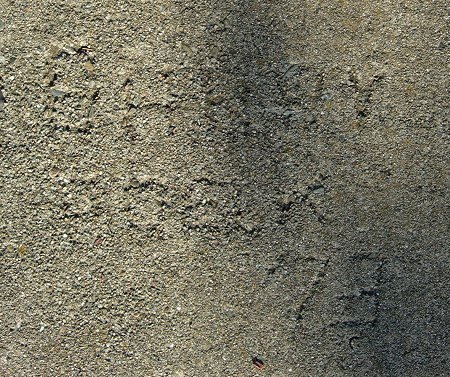 This is the first mark I’ve found from 1973.